process and consistently win deals. 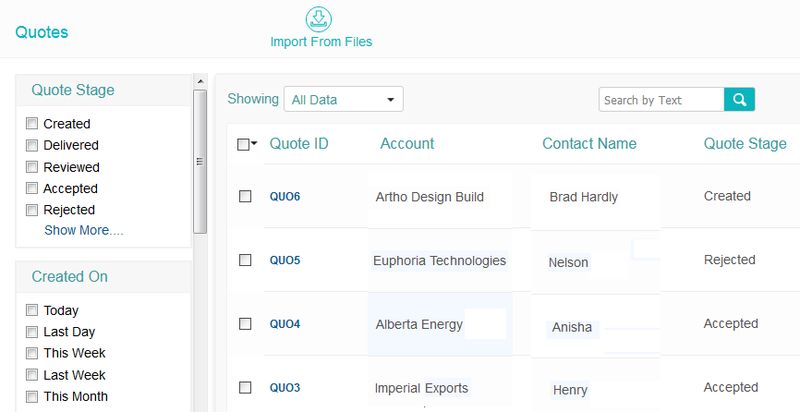 Profile leads with custom attributes specific to your business and segment them via custom view & intelligent filters. Engage & nurture leads via personalized mailers, calls & drip campaigns. Track conversion progress through pre-built or custom stages. Customize deal stages specific to your sales process. Monitor deals progress via their timeline, which auto tracks all the stage movements, email conversations, call engagements, in-person visits, notes and any other activities performed by the sales reps. 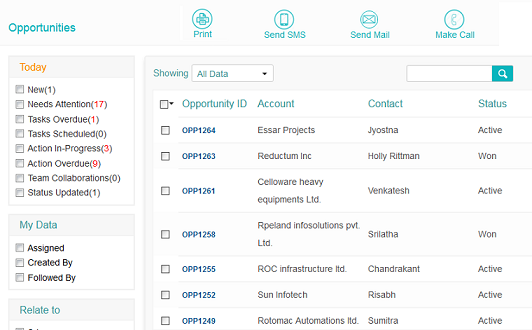 Manage your client database with related contact points via Account & Contact Management tools. Get true 360 degree view of customer covering contact details, related deals, engagements & timeline activities in a unified page. 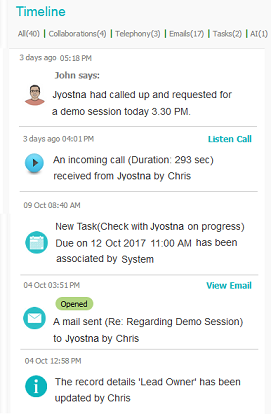 Assign & manage sales reps activities via tasks with scheduled reminders. Sales reps can collaborate effectively on lead & deal progress via instant timeline feeds and document sharing. Manage price lists of your product and services. Instantly generate custom price quotes for opportunities within CRM and send them to your customers via email.